It is presented that high frequency electronic ballast for fluorescent lamps is designed with root placement method using natural frequency and damping ratio. Also, a fluorescent lamp is designed as to have dynamic resistant. The method proposes simple mathematical calculations instead of complex mathematical calculations and the approaches based one of the component of resonant tank, which arbitrary chosen value. Also it is capable to provide accurate values, which can be employed in new types to ballasts. Natural frequency and damping ratio, which are parameters of the method, are chosen switching frequency, 0.707, respectively. Transfer function of electronic ballast circuit is calculated by means of proposed method. After that, components of the circuit are find out. 220 V(rms) voltage was achieved at ignition and obtained 30 W lamp power in state space operation. Electronic ballast design and a fluorescent lamp are made of using Matlab/Simulink interface and the results are presented. U.S. Lighting Market Characterization, Building Technologies Program: 2010 U.S. Lighting Market Characterization, U.S. Department of Energy, 2012. I. Galkin, O. Teteryonok, I. Milashevski, “Weight and Size Estimation of Energy Efficient LED Ballasts” Elektronika Ir Elektrotechnika, vol. 120, No. 4, 2012. Mader U., Horn P., “A Dynamic Model for the Electrical Characteristics Lamp Model of Fluorescent Lamps” Industry Applications Society Annual Meeting, Conference Record of the 1992 IEEE, vol. 2, pp. 1928-1934, 04-09 October 1992. R. Verderber, “Electronic Ballast Improves Efficiency” Elec. Consultant, vol. 60, pp. 22-26, November 1980. J. R. Coaton, A. M. Marsden, Lamps and Lighting 4th Edition, 4 th ed. Routledge; November 1, 1996. J. Choi, “LED Driver Compatible with Electronic Ballast”, Ph. D. Dissertation, Dept. Elect. Eng. KAIST, 2013. Cheng C. A., Liang T. J., Chuang C. M., Chen J. F. “A Novel Method of Using Second-Order Lamp Model to Design Dimmable Fluorescent Lamps Electronic Ballast” Industrial Electronics Society, The 27th Annual Conference of the IEEE, pp. 1033-1037, 29-02 November/December 2001. Yu T. H., Wu L. M., Wu T. F., “Comparisons among Self-Excited Parallel Resonant, Series Resonant and Current-Fed Push-Pull Electronic Ballasts”, Applied Power Electronics Conference and Exposition, IEEE, vol. 1, pp. 421-426, February 1994. Istok R., “High Frequency Emissions of Electromagnetic and Electronic Fluorescent Lamps” , IEEE International Symposium on Applied Computational Intelligence and Informatics , Romania, pp. 21-23 , 21-23 May 2015. Sheeraz A.; Faizan A.; S. Riaz-ul-Hasnain; Duri S.; Sagib J. “Electronic Ballast Circuit Configurations for Fluorescent Lamps” Power Generation System and Renewable Energy Technologies (PGSRET), IEEE Conference Publications, pp. 1–8, 2015. A. Vitanza, R. Scollo, A. Hayes “Electronic Fluorescent Lamp Ballast”, Application Note, Microelectronics,1999. 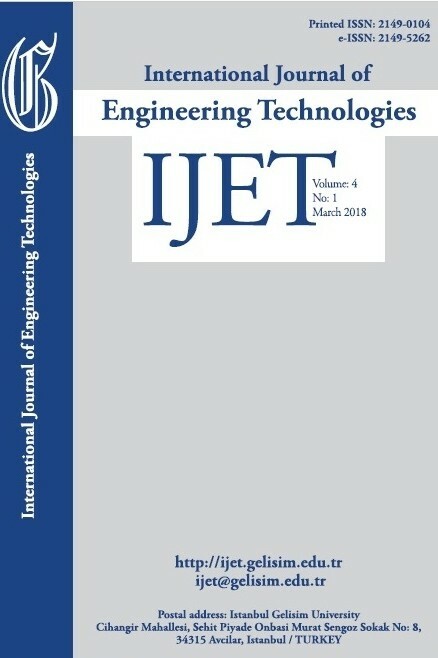 Y. Ji, R. Davis, “Starting Performance of High-Frequency Electronic Ballast for Four-Foot Fluorescent Lamps” IEEE Transactions on Industry Applications, vol. 33, pp. 234-238, January/February 1997. R. A. Gupta, R. Agarwal, H. Soni, M. Ajay, “Design and Simulation of Single Stage High PF Electronic Ballast with Boost Topology for Multiple Fluorescent Lamp” vol. 2, pp. 323-331, November 2009. A. A. Mansour, O. A. Arafa, “Comparative study of 250 W high pressure sodium lamp operating from both conventional and electronic ballast”, Journal of Electrical Systems and Information Technology, vol.1, pp: 234-254, December 2014. Wakabayashi F. T., Dantas F. D., Pinto J. O. P., Canesin C. A. “Fluorescent Lamp Model based on Equivalent Resistances, Considering the Effects of Dimming Operation” 2005 IEEE 36th Power Electronics Specialists Conference, pp. 1136-1141, 2005. Ribarich T. J., Ribarich J. J., “A new High-Frequency Fluorescent Lamp Model” IEEE Industry Applications Society Annual Meeting, St. Louis, Missouri, October, pp. 12-16, 1998. Moo C. S., Chuang Y. C., Huang Y. H., Chen H. N. “Modeling of Fluorescent Lamps for Dimmable Electronic Ballasts” Industry Applications Conference, San Diego, CA, vol. 4, pp. 2231 – 2236, 06-10 October 1996. Shao J., Stamm T., “Cost Effective High Performance LED Driver Powered by Electronic Ballasts”, IEEE Applied Power Electronics Conference and Exposition (APEC), Long Beacg, CA, pp. 3659-3662, 20-24 March 2016. Moo C. S., Cheng H. L., Lin T. F., Yen H. C. “Designing a Dimmable Electronic Ballast with Voltage Control for Fluorescent Lamp” Industrial Electronics, 1999. ISIE '99. Proceedings of the IEEE International, Bled, pp. 786 - 791, 12-16 July 1999. Perdigão M., Saraiva E. S., “Electronic Ballast with Wide Dimming Range: Matlab-Simulink Implementation of a Double Exponential Fluorescent Lamp Model” Spanish Portuguese Congress on Electrical Engineering, Spain, pp. 1-6, 02-30 June 2005.